Foreign Direct Investment (FDI) is investment in the shares of an enterprise operating in a country other than the home country. Typically, such investment can either be in the form of ‘mortar and brick’ investment or mergers and acquisitions. FDI has a major impact on the economic growth of developing countries. Africa is one such continent that has become the world’s fastest-growing region for foreign direct investment. A study by the Financial Times data division in 2015 found that Africa enjoyed a 65% increase in capital investment in 2014. The number of FDI projects in the continent rose by 6%. The study found that capital investment into Africa remains, at its core, resource seeking with the majority of the investment going into oil and gas followed by real estate and communications. 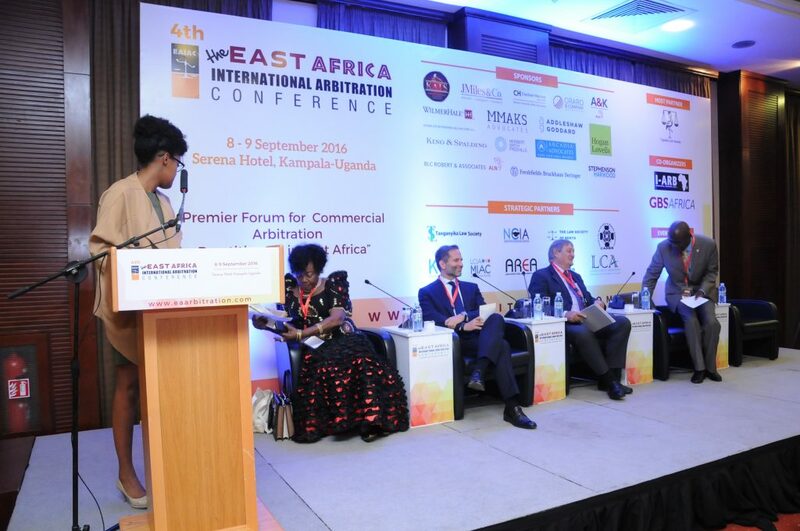 What Does This Mean for International Arbitration in Africa ? As a natural by-product, there has been an increase in the number of international arbitration proceedings involving African parties or interests, particularly in the mining, oil and gas, telecommunications and construction sectors. Whilst these arbitrations involve African parties or interests, most of these arbitrations have their seat outside Africa and seldom involve African administering institutions or arbitrators ; they are primarily conducted through international institutions such as the ICC or the LCIA. It is also unsurprising that with the increase in capital investment the lush continent has seen an increase in investment disputes. According to a report by the United Nations Economic Commission for Africa, between 1972 and 2014, African countries have been involved in 111 investment dispute cases. In most, if not all, of these cases the claimant has been a company invoking the violation of a Bilateral Investment Treaty (BIT(s)). Among African countries, Egypt trumps as being the respondent in the largest number of cases (25) and ranks third globally on ICSID. It is followed by the Democratic Republic of Congo (DRC) (8 cases), Algeria (6 cases), and Guinea (5 cases). BITs have been of great use as they provide for disputes between foreign investors and host states to be resolved through international arbitration, for example, under the World Bank’s International Centre for Settlement of Investment Disputes (ICSID) Rules, or ad hoc arbitration under the UNCITRAL Rules. All in all, the arbitration process offers parties greater control and ownership of the process and maintains a strong appeal amongst foreign investors. On the other hand, countries such as China, which has spent over USD 1.3 billion under the Africa ‘Belt and Road Initiative’, prefer to establish their own arbitration centres such as the China Africa Joint Arbitration Centre (CAJAC) to provide a neutral and cost-effective mechanism for resolving commercial disputes that involve Chinese and African parties. Thus far, CAJAC has set up centres in Shanghai using the Shanghai International Arbitration Centre Rules and in Johannesburg under the auspices of the Arbitration Foundation of South Africa. The above-mentioned developments have also led to an upsurge in arbitration laws of African countries (Nigeria and South Africa arbitration acts) and revamping of arbitration rules. Moreover, organisations such as the Organization for Harmonization of Business Law in Africa (OHADA), comprising of 17 African states, have reformed their Uniform Arbitration Act and the Arbitration Rules of the Common Court of Justice and Arbitration (CCJA) which came into effect on 15 March 2018 (further details on OHADA can be found here). OHADA arbitration has moved towards including investment arbitration and the CCJA’s aim is for CCJA dispute resolution clauses increasingly to appear in bilateral investment treaties (there are a few, such as in the Guinea-Chad, the Guinea-Burkina Faso, and the Benin- Chad treaties). The CCJA is providing healthy competition for ICSID. Generally, the above developments all spell a positive for Africa. However, a lot still needs to be done to increase the popularity of international arbitrations involving African parties and foreign investors to trust local countries as their seat. As many arbitration practitioners will agree, choosing the seat of arbitration is a critical part to arbitration being an effective dispute resolution process. The importance of the seat lies in providing the arbitration with a framework and giving the courts at the seat supervisory jurisdiction. Ultimately, the aim is for an arbitral award to be successfully enforced in the local courts at the seat. There is a general mistrust in having an African country as the seat in an arbitration and popular choices remain London, Geneva, Paris, Singapore as these places are considered to have a comparatively more arbitration friendly court system. It must be noted though, countries and regions in Africa vary in their approach towards enforcing an arbitral award. For example, the local laws of Nigeria and Tanzania exclude public policy as a ground to challenge a foreign arbitral award (here). On the other hand, an award may be set aside under Ethiopia’s domestic laws if it is wrong in law and/ or sometimes in fact. The former is less unheard of. Section 69 of the UK Arbitration Act 1996 provides, albeit in narrow and specific circumstances, that an award may be set aside if the arbitral tribunal made an error of English law. In contrast, challenging an award due to a perceived “wrong fact” touches and concerns the merit of an award and is, therefore, usually inconceivable in international arbitration where challenges to awards are limited to procedural grounds. OHADA’s new Uniform Arbitration Act is yet another example of a prominent development. The Act applies to any arbitration proceedings commenced after its effective date for which the seat is in an OHADA Treaty Member State (Benin, Burkina Faso, Cameroon, CAR, Comores, Congo, Cote d’Ivoire, Gabon, Guinea, Guinea Bissau, Equatorial Guinea, Mali, Niger, DRC, Senegal, Chad, Togo). Under the Act, parties may expressly waive the right to file an application to set aside an award (except where this may be counter to international public policy as defined in the Act). Alongside French law, this makes it one of the rare texts that allows such waiver. Precaution is always better than cure when choosing a seat of arbitration. However, it would be sensible for parties involved in disputes in Africa to understand the local court system of a particular country before completely ruling it out as a seat of arbitration. After all, in the long run, it would be potentially more cost and time effective and efficient if the seat was “local.” In parallel, African countries would be well advised to reform their local court system to make it more arbitration friendly (where and if necessary) as arbitration in and of itself is a form of investment, such that if the “local” system is friendly this is likely to attract international law firms and increase the use of hotels and conference rooms during arbitrations.